Two colours of glitter gel bouncing putty, each half contains different colour. Feels like slime, bounces like putty! 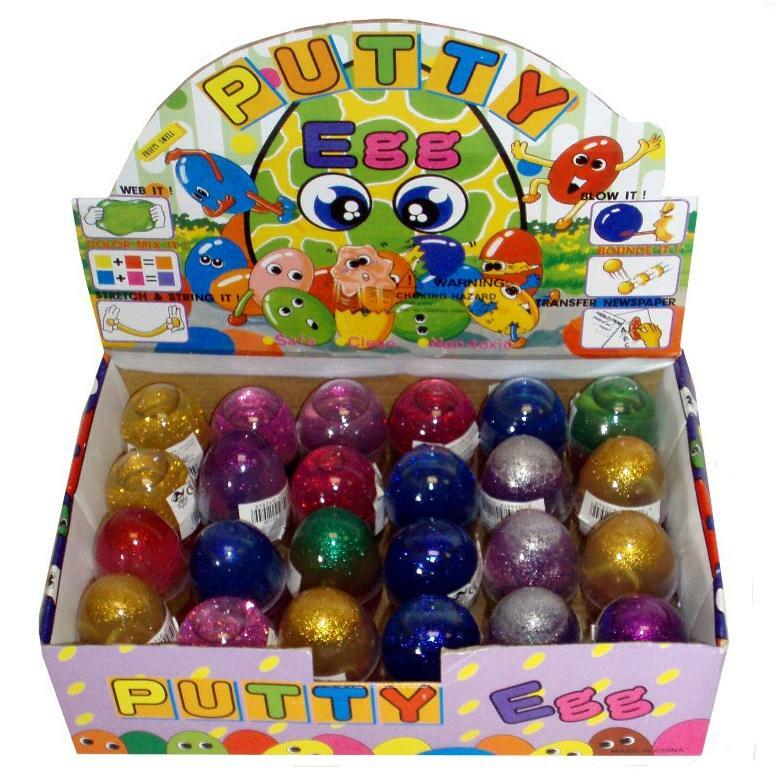 Squidgy putty which can be blown, stretched, moulded into any shape and bounces with surprising velocity. Irresistible to fiddle with, packaged inside a plastic egg, providing storage for the putty when it is not being played with! Eggs are selected at random, so colour choice can not be made, however we will ensure you receive different colours should you buy more than one egg, unless you request otherwise.